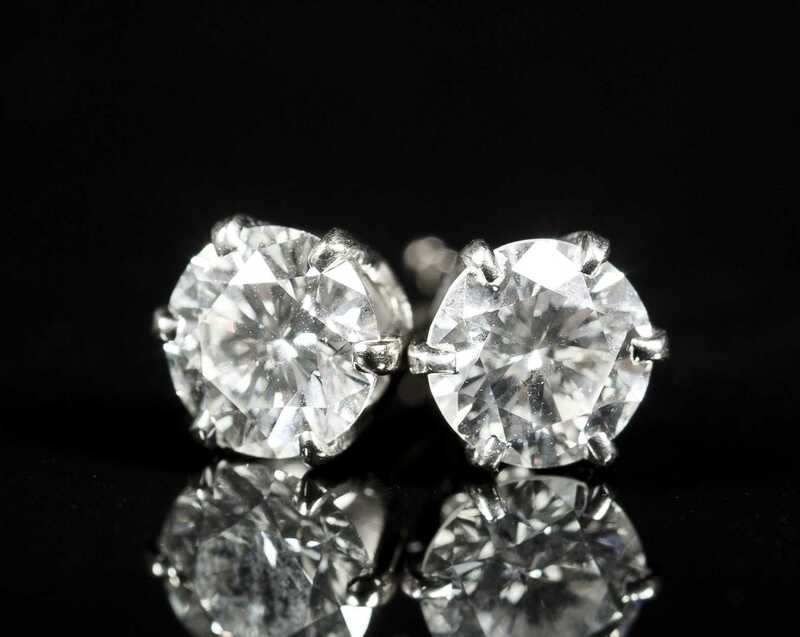 Diamond Studs in 14kt. White Gold, marked. 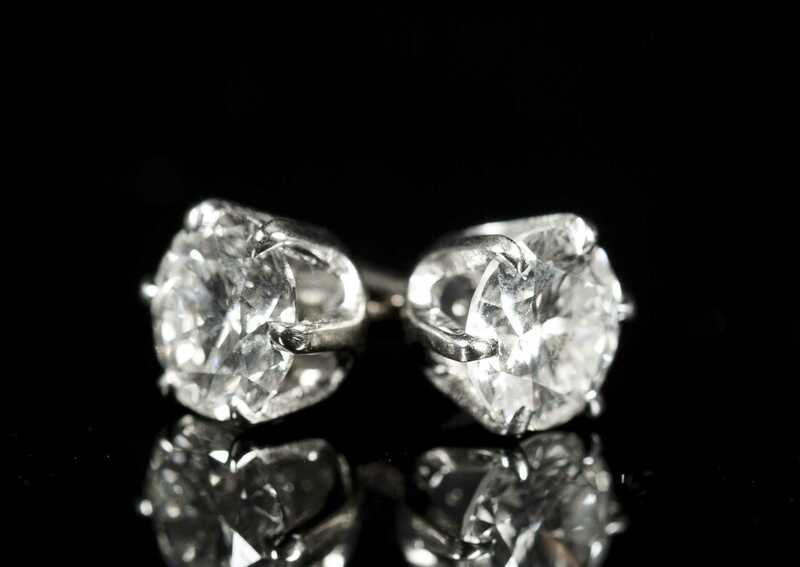 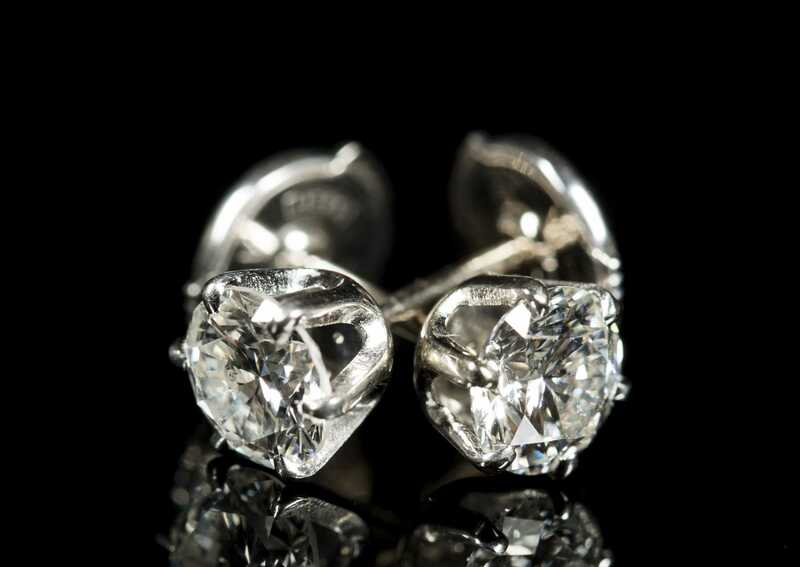 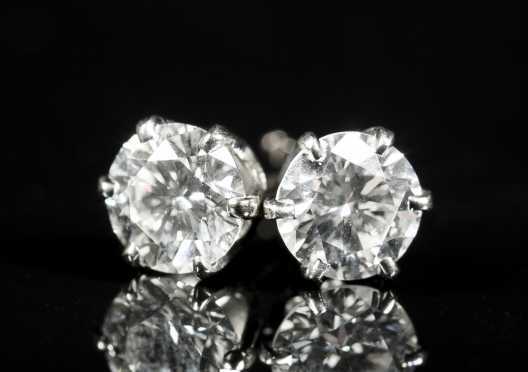 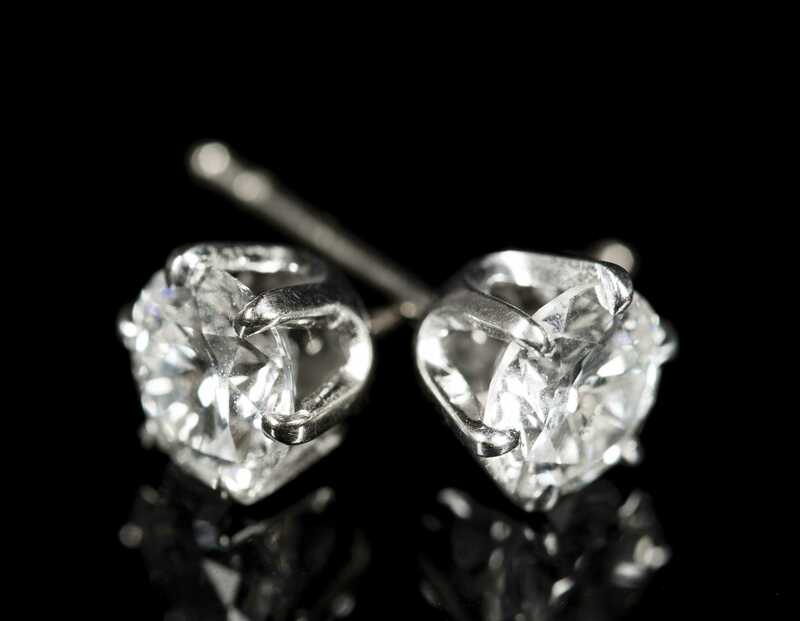 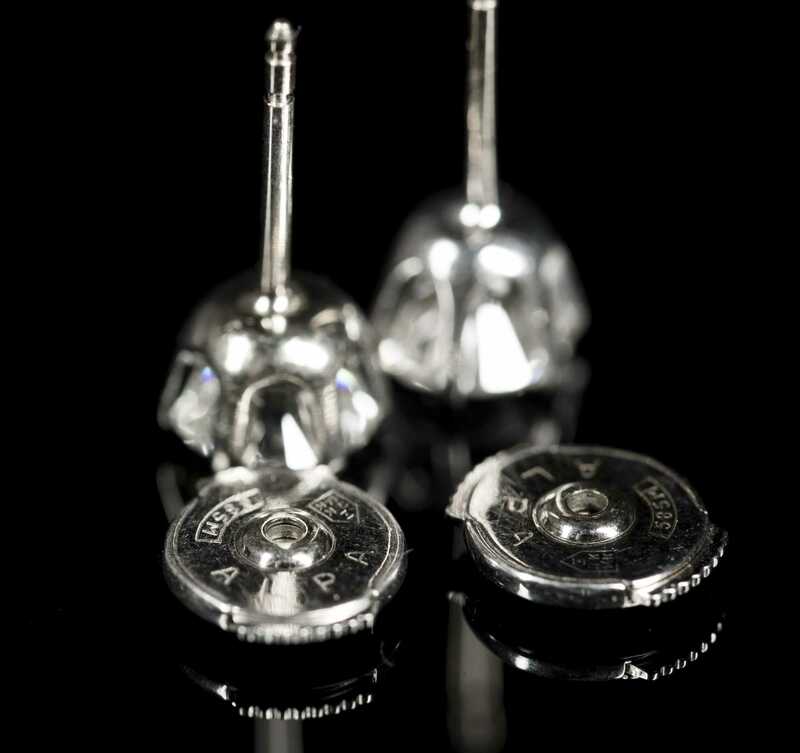 Clean and bright pair brilliant cut diamond stud earrings in six prong white gold setting with safety backs marked "585". 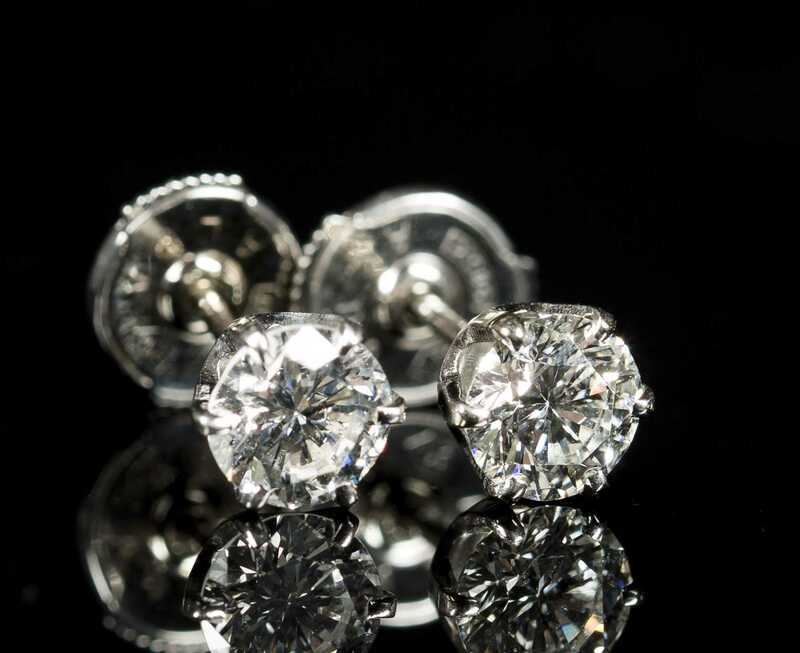 Diamonds measure approx. 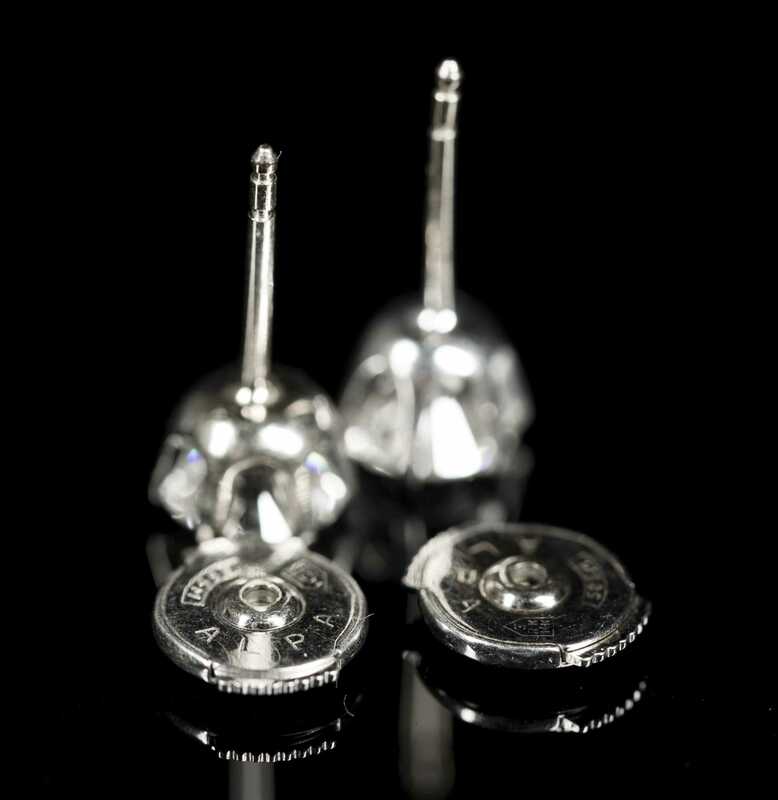 5.8mm with total weight 1.9g.